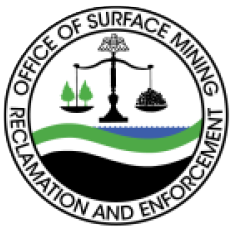 U.S. Department of the Interior, Office of Surface Mining Reclamation and Enforcement for Applied Science Cooperative Agreement funded Ohio University's (OHIO) project: "Tools to predict the hydrological response and mine pool formation in underground mines." The research was conducted 2016-2019 to develop an empirical model using publicly available data. We gathered and analyzed data for all 28 of Ohio's permitted underground coal mines. Multivariate analysis with THE UNSCRAMBLER and neural networking software NEUROSHELL2 were applied to 14 mines with comprehensive data, identifying significant factors in mine pool development. Key parameters informed the development of a geographic information system (GIS) model in ArcGIS. The tool can be used by regulators and industry mining permit applicants to determine the probability that a proposed underground mine will form a mine pool likely to produce surface discharge. Long term data from existing mine pool monitoring validated results. 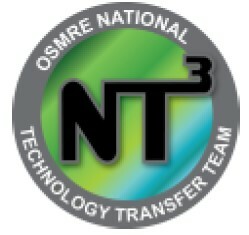 An executive summary of the project written by the OHIO project team, 2-page fact sheet, user’s guide for the Mine Pool modeling tool, Mine Pool Tool (GIS package), an instructional webinar, and the three OHIO graduate student theses produced through this research. This report was prepared as an account of work sponsored by an agency of the United States Government. Neither the United States Government nor any agency thereof, nor any of their employees, makes any warranty, express or implied, or assumes, any legal liability or responsibility for the accuracy, completeness, or usefulness of any information, apparatus, product, or process disclosed, or represents that its use would not infringe privately owned rights. Reference herein to any specific commercial product, process, or service by trade name, trademark, manufacturer, or otherwise does not necessarily constitute or imply it endorsement, recommendation, or favoring by the United States Government or any agency thereof. The views and opinions of authors expressed herein do not necessarily state of reflect those of the United States Government or agency thereof.